Albay rep. Edcel lagman said they will no longer challenge the constitutionality of the extension of martial law "in the wake of the Supreme Court's adverse decisions upholding congressional descretion." Aside from Lagman, the "magnificient 7" is composed of Ifugao Rep. Teddy baguilat, Caloocan City Rep. Edgar Erice, Northern Samar Rep. Raul Daza, Akbayan party-list Rep. Tomasito Villarin, Magdalao party list Rep. Gary Alejano and Capiz Rep. Emmanuel Billones. The "Magnificient 7" group will no longer question the five-month extension of martial law before the Supreme Court. 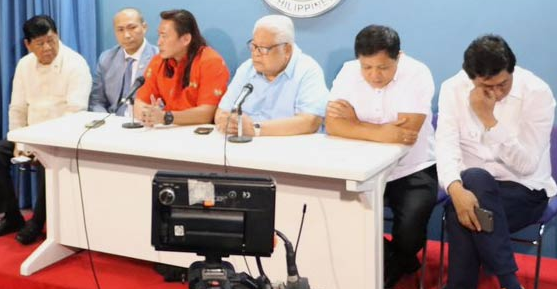 'With the current temperament of the Supreme Court, it may be an excersise in futulity to press for the declaration of nullity of the congressional extension," Lagman said. However, lagman said there is still a possibility they will run to the Supreme Court if the implementation of martial law becomes abusive, and the declaration remains even if the fighting in Marawi City has ended. lagman said his colleagues will wait " for the occurrence of identical issues in subsequent instances" which may be decided by the Supreme Court.